What is the most persuasive? The ongoing behavioural research we do at Huthwaite International clearly supports the essence in Tony’s statement 1. above. But was Tony’s statement persuasive to you? 2. 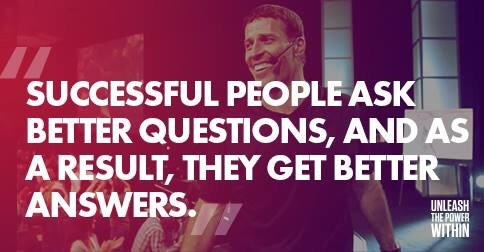 Would you agree that successful people ask better questions and get better answers? 3. Why do successful people ask better questions and get better answers?